Let’s talk for a moment about a writer’s attitude. A writer’s attitude can tell you a lot about his or her purpose. This attitude is the tone of the writing. It is more difficult to understand a writer's attitude in writing than a person’s attitude when you hear the person talking, but a good writer can use words to express an attitude. If Crane’s words express a pleasant or enthusiastic tone, we guess that he wants his readers to believe war is glorious. If, on the other hand, he seems angry or accusatory, we assume that he wants readers to believe war is evil. Let’s look at some words that describe tone. Using your notes, write some of the words that describe Crane’s tone or attitude. When you are finished, check your understanding. Did you pick more than one word? An author’s tone can be expressed in a number of ways. Also, the tone can change throughout a work or send variant messages to different audiences. Crane’s tone is generally described as sarcastic, bitter, or cynical, but in some parts of the poem, he is also condescending. Using your notes, write your answers to the questions that follow. When you are finished, check your understanding below. Where in Crane’s poem do you see a shift in tone? Why does Crane shift his tone in these places? How does Crane’s tone help you identify his purpose? Crane’s tone shifts between the second and fourth stanzas. He is showing the experience of war from those who grieve as well as from those who suggest that war is glorious. Crane’s tone helps readers understand the irony between his words and his ideas. Analyzing an author’s tone and attitude can help you identify the author’s purpose. Looking at the historical and biographical background is another important strategy for finding the author’s purpose. 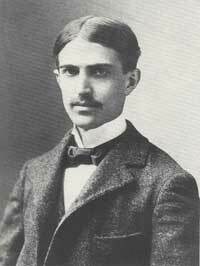 Read the following author biography to learn more about Stephen Crane and his times. What does Crane’s biography tell you about his beliefs about war? What do you think is his implicit purpose for the poem? It confirms that he believes war is not so heroic and glorious but is brutal.